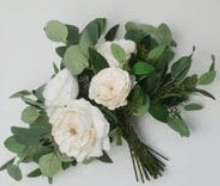 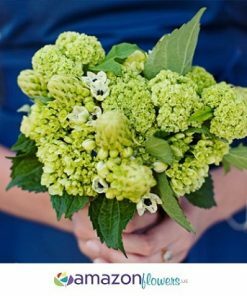 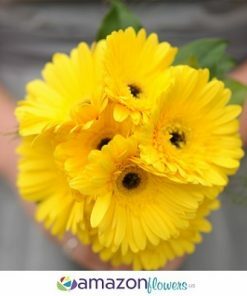 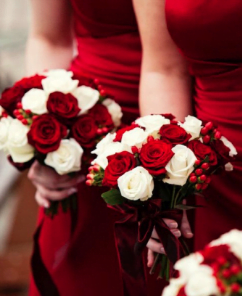 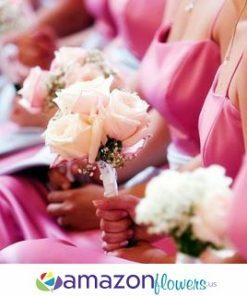 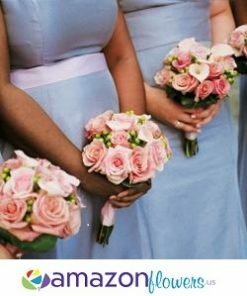 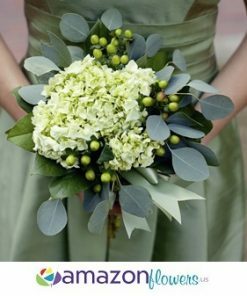 Choosing the bouquets for your bridesmaids is not as difficult as you might expect, and there are a couple of ways you can do this. 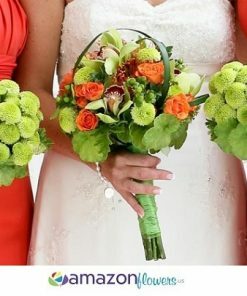 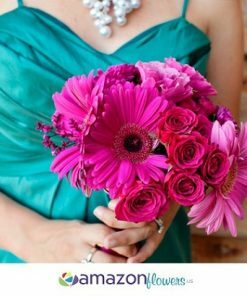 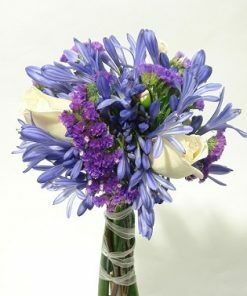 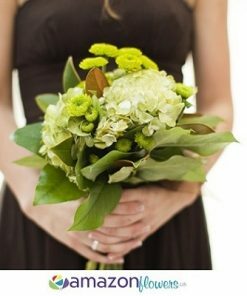 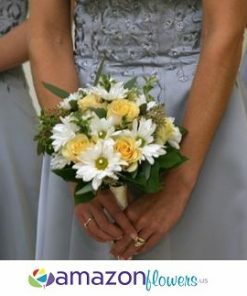 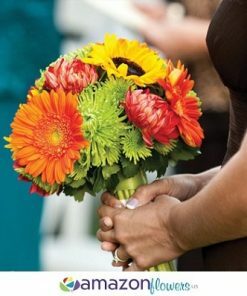 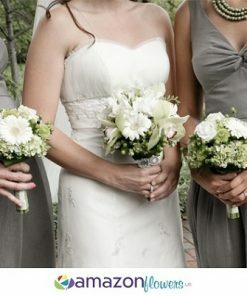 Usually, bridesmaid floral bouquets will complement the bride’s bouquet. 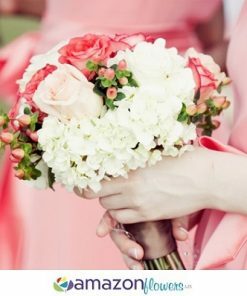 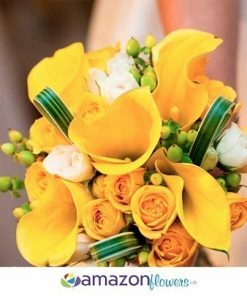 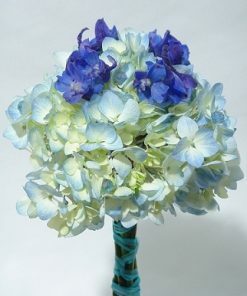 They may contain the same type or color flowers, or be a similar size and shape, but always smaller than the bride’s bouquet. 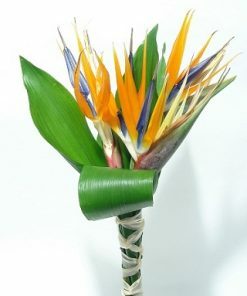 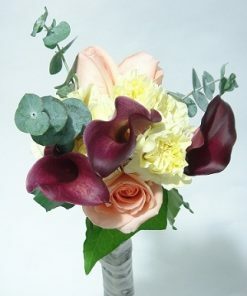 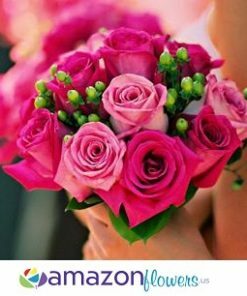 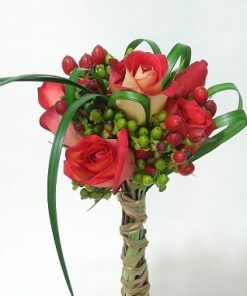 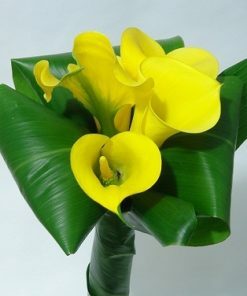 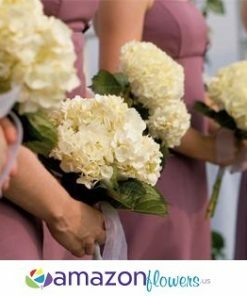 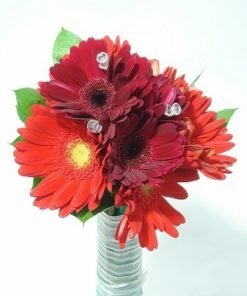 With Amazon flowers you can also choose flowers and ribbons that complement the colors of the bridesmaids’ dresses.